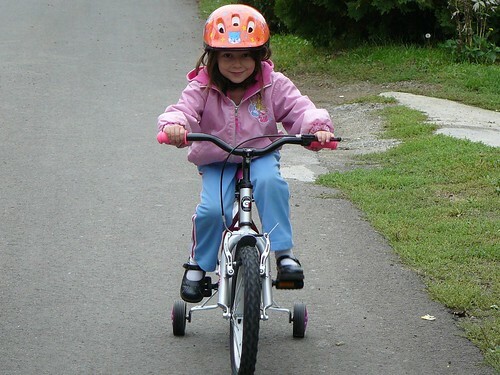 Above: Daddy break’n in Ellie’s new bike. Above: Long time friend Cathy, known as Aunt Cathy to our kids, was kind enough to bless Ellie with her first bike for her 5th birthday. Above L to R seated in back: Jona, Peti and Miki. Our church plant in PetÅ‘fibánya has been in the process over the past year of becoming an official (legally recognized) member of the Baptist Church Denomination in Hungary. 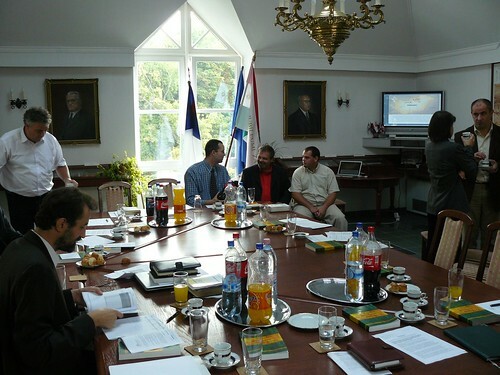 On Tuesday, we met with Hungarian Baptist Leaders to give a report on God’s work in PetÅ‘fibánya and to receive an official vote of our inclusion into the denomination. Jona, who serves as a church planter and pastor in our target region, has helped us through this process. 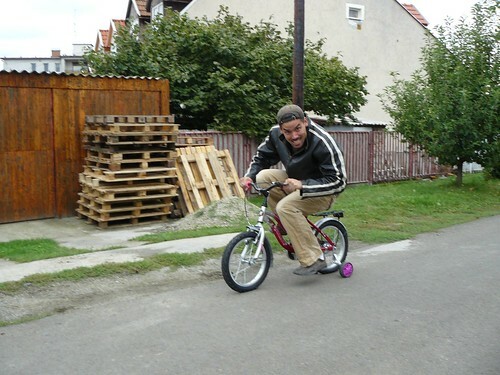 We have had a relationship with Jona since we moved to PetÅ‘fibánya and have often prayed together and done ministry in partnership with his church plant in the city of Gyöngyös. We praise God for the near completion of this process which gives us greater legal protections and privileges which we previously did not have. Above: We celebrated Sharon’s 37th birthday on Thursday. Benjamin was kind enough to give her his allowance money so that she could get a hair cut. Kira made a scribble card and Ellie gave her 10 kisses. We decided to go into Budapest and have dinner together at one of Sharon’s favorite restaurants. Happy Birthday! Above: We praise God for His continued work in transforming our minds and our approach to marriage through the study of His Word. The foundational message of the class is taking responsibility for our God given role in marriage as one who is to minister to our spouse. I am able to freely serve my spouse because Jesus has provided a solid foundation of unchanging love and security to me when I became His child. 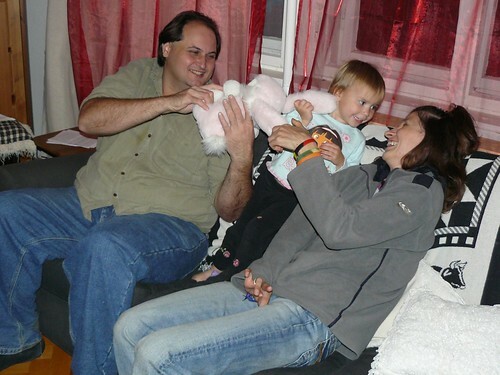 Above: Gábor and Hugi having fun with Kira after our marriage class. 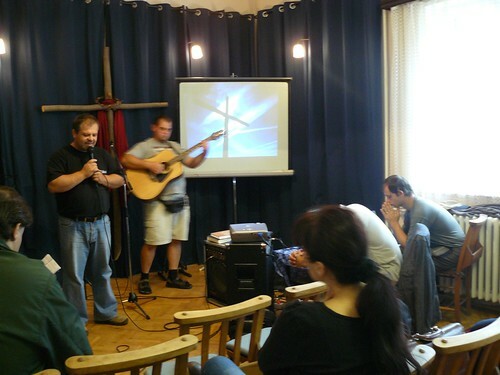 Above: On Sunday morning we visited the church (KEGY) that we first worked with in our first few years in Hungary. This was a special service because two Pioneers married couples were being sent out to serve in two church planting works. Above L: Our friends Attila (with baby Levi) and Tamara will be serving in Vecsés Hungary in partnership with a national church planting team. 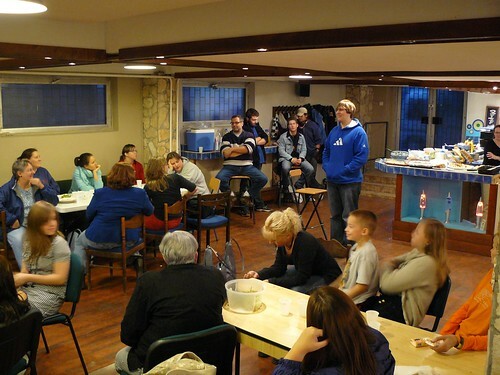 Years ago when we first moved to PetÅ‘fibánya, Tamara helped us initiate our English program which is still being used to this day to build relationships with the community and tell them about Jesus. Above R: Our friends Roger and Heidi who have committed to a year of full time ministry in PetÅ‘fibánya. We are very thankful for more workers to help in the harvest throughout Hungary. We praise God for relief from the fumes that invaded our Sunday service last week! We also praise God as we see the members taking more and more responsibility in various aspects of service from setting up chairs, to clean up after service. Some on our team and in the church continue to struggle financially. Gabor, who lost his job a few weeks ago, seemed to find a way back to financial stability in a new job that he started two weeks ago. Unfortunately, he was laid off of his new job after just three days. Gabor was able to give testimony of His trust in God in our service last night. 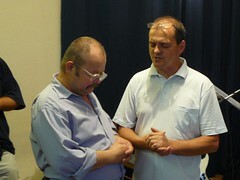 Gabor exalted God and encouraged all those who attended to believe in Him. He said there is no reason to doubt the existence of God who has so clearly been at work to refine and faithfully provide in their time of need. Gabor said that both his and his wife’s families combined had not come to their aide to the dramatic degree the church has stood with them to support them. 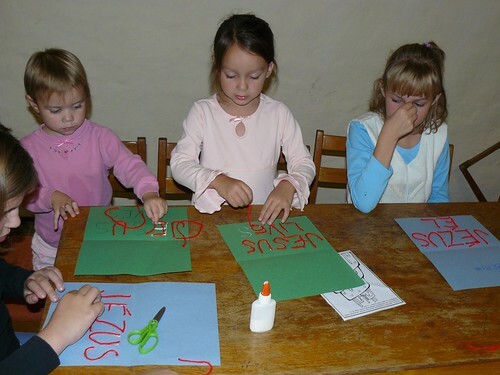 Above: Kira, Elianna and Betti in our Sunday School. 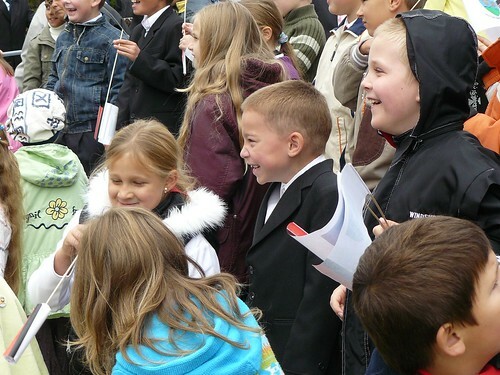 Above: On Friday morning, Ben dressed up in the Hungarian traditional black and white attire to take part in a Miners Day Celebration in the neighboring village of Rozsászentmarton where he is attending first grade. 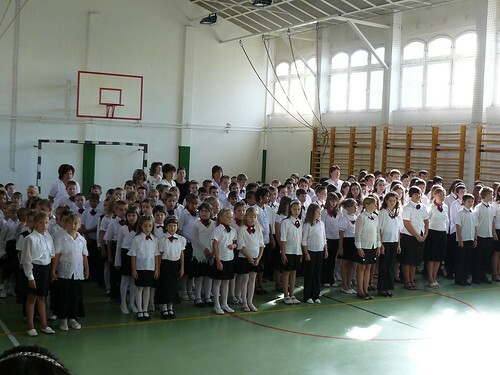 Above: After the official ceremony ended, the kids had a fun time goofing off with class mates. Ben is doing an exceptional job in first grade. He often comes home with the highest mark (a gold star) on class work and has had no problem understanding what is going on in class. 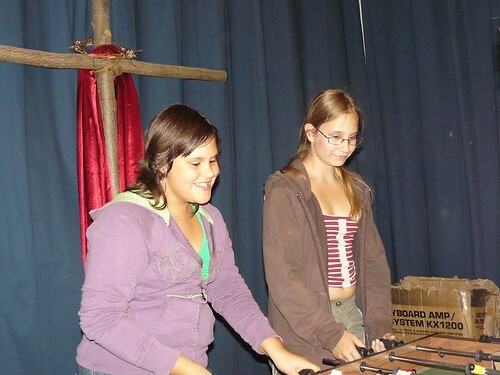 Above: Our teen outreach continues to gain momentum. Currently, we are offering a time of clean fun together. In the next few months we will transition into set times of studying the Bible in these Friday night gatherings and also starting our winter soccer program in the public middle school. Above L to R: GyÅ‘zÅ‘ and Peti. This night is not just for teens. Peti is the husband of one of our church members, Eszti. They have three kids and Eszti is pregnant with their fourth. Peti does not attend church but is open to attend our Friday nights together. 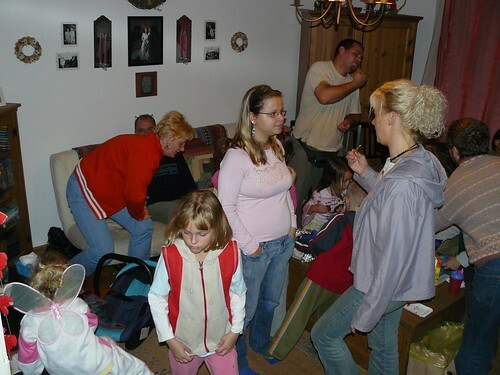 Above: On Saturday, we packed up two cars and headed into Budapest for an English Camper reunion party. Cathy was kind enough to take the grill master role. Above: Campers sharing about what they have been up to in the summer. 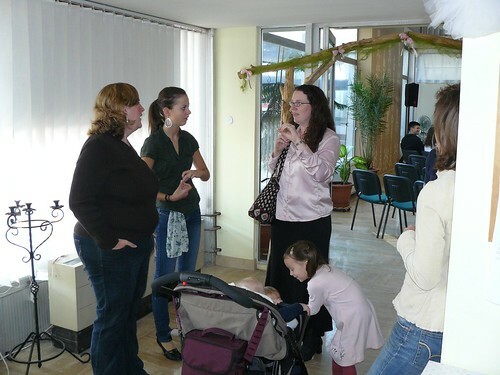 We held our reunion party in a coffee shop that we helped to build years ago when we first arrived in Hungary. It was really neat to see the various changes to the coffee shop and that it continues to be used for various ministry events. Sorry, no pictures from our worship service on Sunday. Imagine pouring out a whole container of floor varnish in a closet and then sitting in the closet with the door closed. Lightheaded yet? Our church was greeted with strong varnish fumes from refurbishing work that was happening on the second floor of the building. Unfortunately, this caused some to have to walk out and back into service and led to various disruptions. At the same time this was the first night of a new time transition, moving our worship service up one hour from 5:00 to 4:00. Although we attempted to let everyone know, there were visitors that came at 5:00 surprised that we were in the closing minutes of service. With the fumes, and late arrivals, DezsÅ‘ related to me after the service how he had to re-explain his introduction that lead to the meat of his sermon three times. It was sad, but we were able to laugh afterwards and hoped that the portion of his message in Romans that was repeated would bear fruit. On top of all of this, our worship leader Miki was serving with another church planter in another village. This meant that we had no music to back up our singing worship time...so we sang a-cappella. I say all of this not with a complaining heart, but with joy that those that attended were still able to worship God. Through the fumes, through distractions, through the a-cappella, those few that came wanted more of Him. In our class on faith in Christ and baptism, Érzsi seemed to gain a greater understanding from God’s word about the background of baptism. We were seeking to make clear that baptism is not the creation of the local church, nor is it the badge of membership to a denomination. Unfortunately, confusion and false ideas abound when the subject of baptism is brought up. 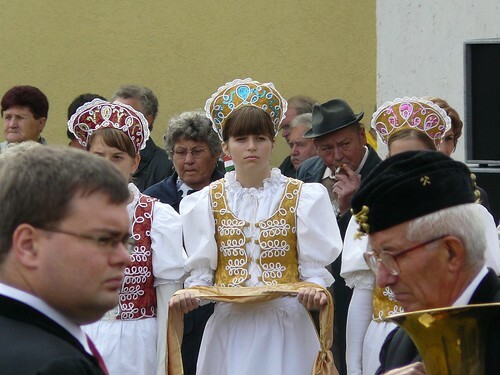 Érzsi initially thought it was a rite of passage from one denomination to another. I guess it doesn’t help that we are called a ‘Baptist’ church. For someone with no church background and a limited overview of the Bible, it is understandable how she misunderstood what baptism meant. Thankfully, she is able to explore God’s word in this class with us and discover the reasons for baptism. Our church is in a time of testing and I ask you to pray for us. There are members who are in need of work. There are members who are working through hard heart issues. 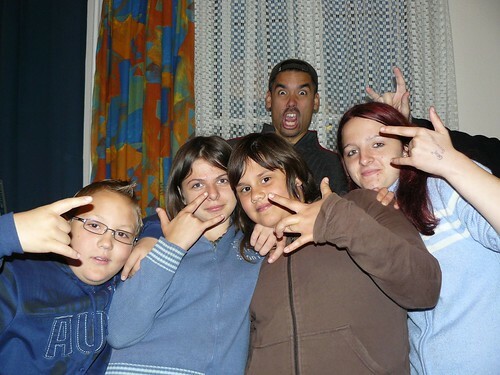 There are members that are young in their faith. Please pray for God’s blessing on us and that He would establish a mature, fruit bearing church that has a redemptive influence in this world. 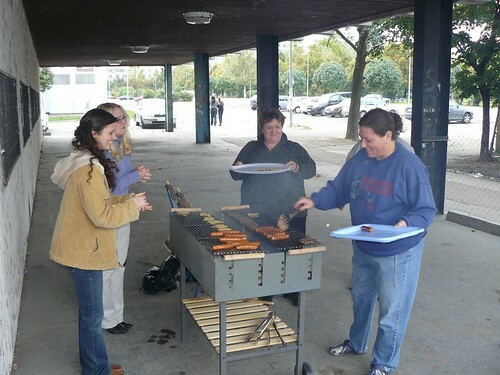 Above L to R: Norbi (Noor-bee), Érzsi (Air-shee), and Marika (Mar-ee-kah) pictured at a church picnic a few weeks ago. Norbi and Érzsi have been attending our class which is focused on explaining the gospel and also baptism. Last week, I asked you to pray “for Norbi to grow in his faith and to gain a complete understanding of the gospel and the practical implications for his life.” At the end of class today in prayer, both Érzsi and Norbi made professions of faith in Jesus as their sole Savior and Lord. Norbi’s wife, Lidia is already a member of our church and has been praying for her husband for some time. God’s work in Norbi’s heart gives us renewed hope of a family submitting to God’s kingdom rule and passing on the blessings they receive from their loving Savior. Érzsi, began attending our church after meeting us through our Christmas Musical last year. Her husband recently struggled with a problem with his foot which threatened him with the possibility of it being amputated. Érzsi brought this prayer request to the church, and God had mercy on him. His foot is healed now and he is even working (he is in his 70s). Both Érzsi and her teenage son Dávid would return home from church and say, “We’ve been praying for you.” In class today, it was evident that God was showing HIs mercy and love in real ways in Érzsi’s life. As DezsÅ‘ (who helped me teach the class) and I interacted with Érzsi, it became clear that she had never made a personal decision, but tonight, she was ready. 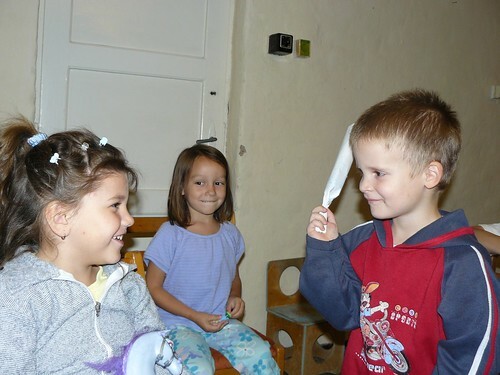 Please pray for Norbi and Érzsi in their young faith. Pray that God would protect them from the attacks of the enemy and that He would strengthen them and mature them as they seek Him with all their hearts. 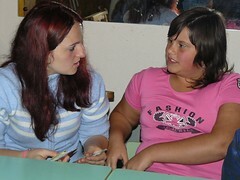 Above: Teenager Niki (Nick-ee) with Kira. Niki also attends our class on faith in Jesus Christ and baptism. She acknowledges the truth, but openly confesses that she is not ready to make the decision. There are private barriers in her heart that are keeping her back. Please pray for God to lift the veil of darkness that keeps her from understanding His love and our need to put our life in His hands. Niki’s mother Kati attended church tonight and asks for prayer for her brother’s leg which is in danger of being amputated. Above L to R: Church members Edina (E-dee-nah) and Hugi (Who-gee). 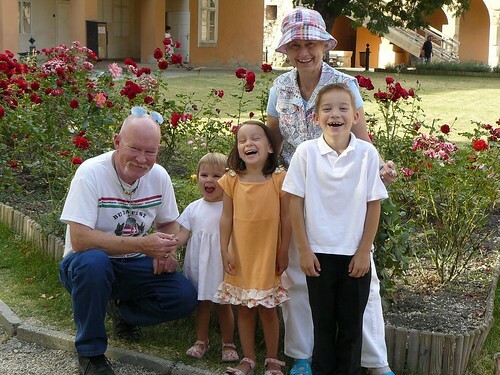 Hugi’s husband Gábor (also a church member) has been without work for over a month. 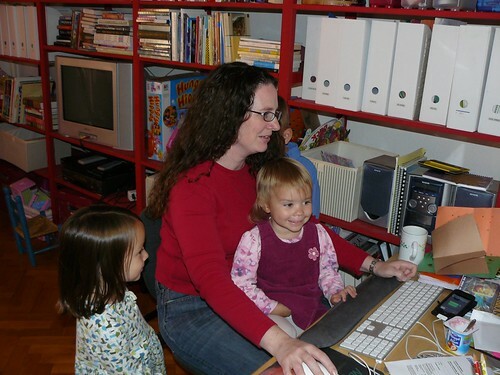 Finances became so strained for them that they couldn’t pay their electric bill. They have spent their nights together over the past month by candlelight. This was a difficult time as their faith was being tested. 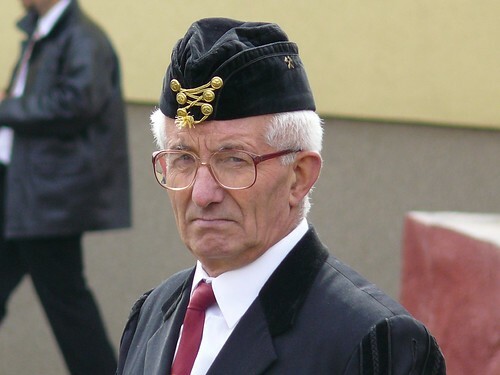 Gábor diligently sought work in the various factories that surround our village and no one was hiring. Gábor got to a very low point and recognized that because of mistakes he had made in the past, they were now overcome with financial burdens. 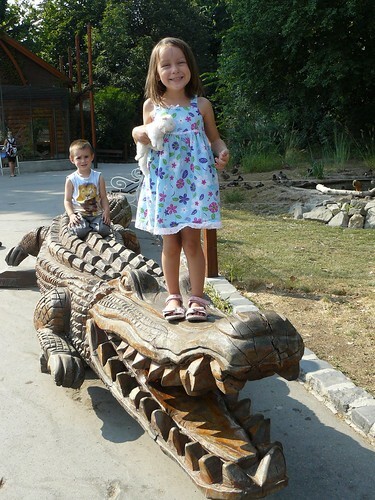 Both Hugi and Gábor had two options. Reject God because of seemingly hopeless circumstances, or trust God to lead them through this tough time. They chose to trust God and persevere. Gábor said that he prayed, “Lord, I messed up. I’m the one that got us into this mess and You are the only one that can get us out of it. I learned my lesson.” After a month in this valley, Gábor was humbled and ready to trust in God and not in himself. Jesus lead him to a telephone number which led him to a job which pays more than any other job that he has had in his life. 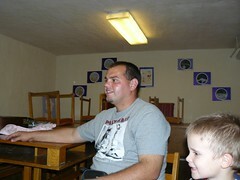 Gábor said that he now hopes to be a good steward of the money God has provided and praised God for His provision. Above: Peti beginning our worship service with communion with God in prayer. Our desire is to see our church learn more about prayer and become more active as prayer warriors. Teammate Brenda has begun a prayer group with women before church that is growing and causing the members to become more connected with each other. We hope to teach the church this year to follow Jesus’ example of prayer. Peti gave an encouraging message on God’s desire to build our faith in tough times. Instead of giving up on God and thinking He has rejected us, we must grow in our understanding of what God is teaching us in the midst of suffering and tests. As we are proven faithful with the little things, He is able to entrust us with more. We must learn the basics of loving as Jesus Christ loved, forgiving as Jesus Christ forgave, using our resources as Jesus Christ used his resources. The road to receiving a great blessing is usually tough. But when we persevere and look back at what God has taught us through the valley, we are thankful and more able to handle properly the blessings He has in store for us. These were not empty words from Peti who recently moved to PetÅ‘fibánya with his wife Edina. They are struggling financially and learning on deeper levels what it means to trust God with their lives. Above: It was Miki’s turn to teach children’s Sunday School tonight. As you can see, it is always fun with Miki. Since our dear friends Janka and Julika were led away from serving in PetÅ‘fibánya, there is a great need for a full time children’s worker. Currently, we rotate three teams each week to teach but it pulls members out of the church service that should be hearing the messages to be built up. We are in need of a person to focus full time on children’s work in our church and we ask for your prayers for God to provide. 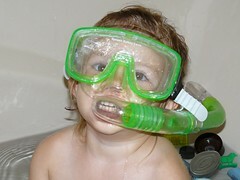 Above: Our adventure girl Kira trying out Ben’s scuba gear and Ellie’s fashion gear. She is the first of the three that we have to keep constantly glancing back to our left and back to our right as she seems to always disappear from our field of view. While Sharon was paying for groceries the other day, Kira made her way to the sliding exit doors and was pressing her hands up against the glass to make her way back to mommy. She wasn’t panicked, just on an exploration a few strides away from Sharon. The Hungarians waiting in line got a kick out of it. Above: We had a good turn out of teens tonight with new faces. 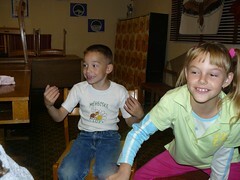 We were thankful for two of our campers from our VBS this year attending tonight. Through these follow up events, we are able to stay connected with them. 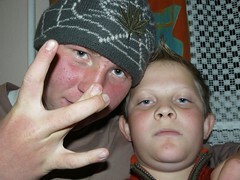 Above: Teenager Ádám (Left) and Dávid (Right) who we first met through VBS. 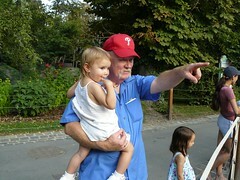 Above: Evie (our past Landlord’s daughter) came for the first time. Her mother, Vanda has recently been stirred by God to grow in her faith. Please pray for their entire family to come to know Jesus Christ. 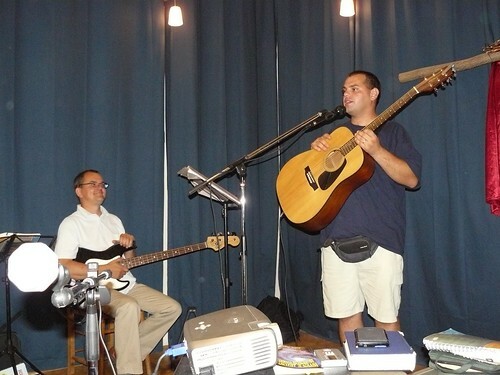 Above: Church member Hugi (right) serving with a joyful heart with us tonight. She did a great job connecting with the teen girls in the group. Above: First time visitors to our teen group, Viki and sister Judit. We sense that God is moving among the teens and we want to be effective in communicating the gospel to them. Please pray for our team as we have an all day meeting discussing our fall plans. 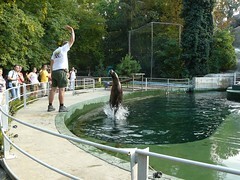 Above: DezsÅ‘ (left) and Miki (right). DezsÅ‘ continues preaching through the book of Romans. DezsÅ‘ said that when we were sinners, we never questioned our drive to sin more, but for some reason, when Jesus calls for all of us, we often hesitate with questions. He spoke about the two paths of life, one with our face to Jesus and the other with our face to sin. One that leads to life, the other to destruction. DezsÅ‘ encouraged the body to resist the lies of the enemy that Jesus’ grace is not enough and that turning to God will be useless. He encouraged us to allow Jesus to cleanse us from the inside out as we follow Him with all of our being. 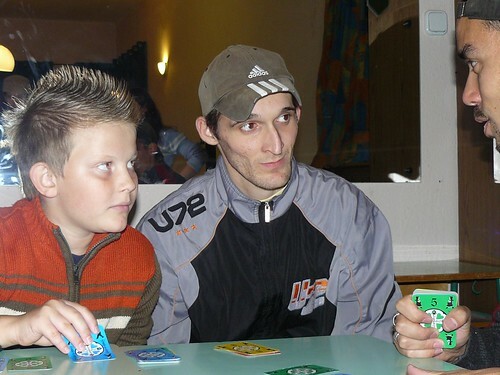 Above: Lidia (left) and husband Norbi (right) with Lidia’s nephew Dáriusz. Lidia has been participating in our hour of prayer before church. Teammate Brenda who has been leading the women’s prayer group sees growth in Lidia’s faith and is encouraged to see women getting more connected. Norbi attended our class before church which explains faith in Jesus and baptism. Norbi comes from a tough background and has his ups and downs in regard to his behavior toward Jesus Christ and the local church. Half a year ago, I can remember having a heated discussion with him about the dangers of his disregard for God’s word. In today’s class, Norbi with Bible in hand, was able to answer questions with the help of God’s Holy Spirit and showed signs of understanding the gospel. Change is happening in his heart by God’s grace! Please pray for Norbi to grow in his faith and to gain a complete understanding of the gospel and the practical implications for his life. Above L: DezsÅ‘ praying with Laci. 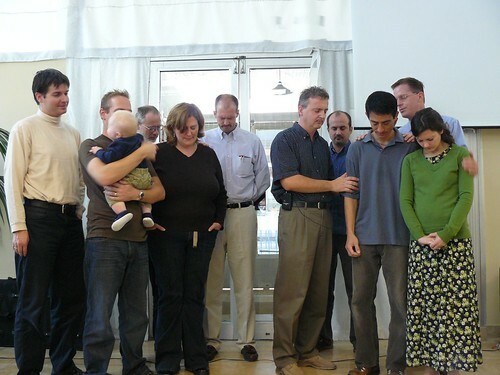 Above R: Miki praying with Gabi. Our church is going through a difficult time as a few members (like Laci) have been laid off of work. Members of our team are also struggling financially and seeking help from God who is faithful to provide. Please pray that our church and our church planting team would receive enough money to live with and to give to bless others. Teenager Gabi’s mother Kati and sister Niki attended church tonight. Gabi has been fervent to pray for his family’s salvation and we have seen God beginning work in their hearts. Kati, though very shy and more comfortable alone at home, has responded to her son’s invitation to come to church multiple times. Tonight, DezsÅ‘ and Allen had a chance to pray with her in our small group prayer time. It was clear that she appreciated our going to the Father on her behalf. We just hope that she will someday do the same through Jesus Christ. 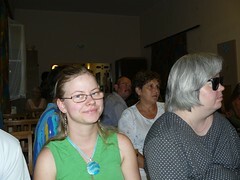 Gabi’s sister Niki attended our class on faith in Christ and baptism. Please pray for complete clarity of the gospel in her heart and that the enemies schemes to distract and blind her from truth would be destroyed. 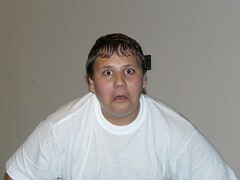 Above: Ben partially had a first grade experience in the US when we were on furlough. 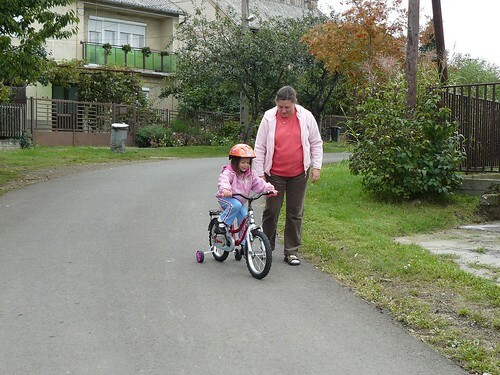 He does really well with transitions and had a great first week of first grade here in Hungary. 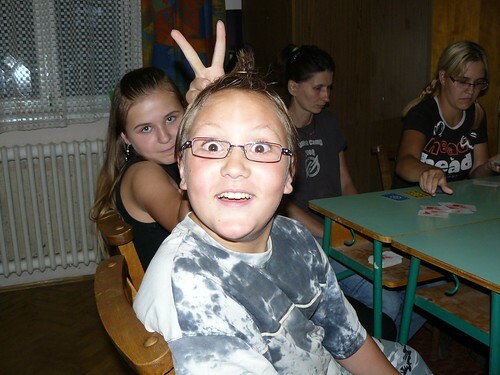 Above: Ben helping his bewildered friend pay attention and leave single file with the other kids as the older students laugh in the background. 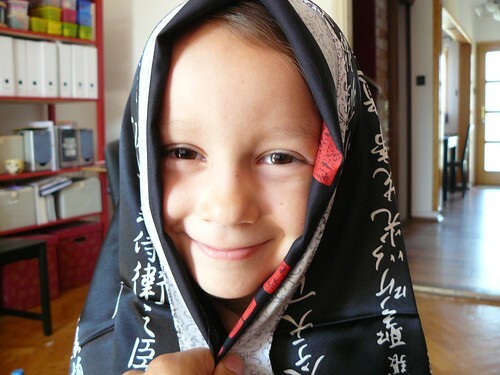 Above: Elianna sporting daddy’s scarf that mom-mom brought all the way back as a gift from her time in China. Our Elianna continues to be a bundle of joy in our family. She seems to always have a song in her heart and does a wonderful job singing. 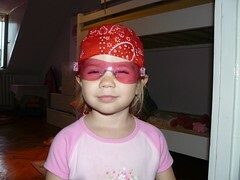 She had the family laughing in the car just the other day as she sang her ABCs backwards. Elianna wants to be a princess when she grows up...and sometimes changes her mind and says that she would like to be a chicken. She is the creator of a game our kids play on our bed which involves the invoking of various gymnastic moves at the sound of someone shouting, “Pickle.” Happy 5 Ellie! 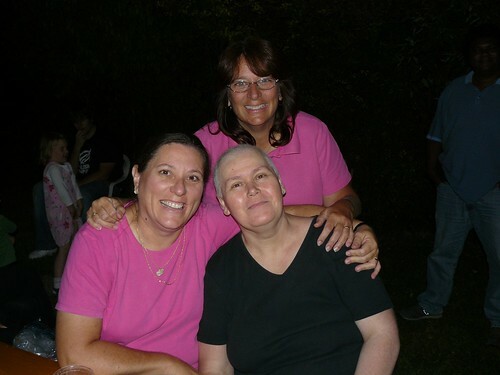 Above: Celebrating friendship and God’s grace at a party celebrating Cathy (pink shirt L) and Val’s (pink shirt R) 16th year of ministry in Hungary. Cathy and Val have been a great help and encouragement in our lives and have persevered as humble leaders in Hungary. I was overjoyed to see Julika at this celebration and her uplifted spirit even after months of chemotherapy and radiation. Please continue to pray for complete healing in her life. 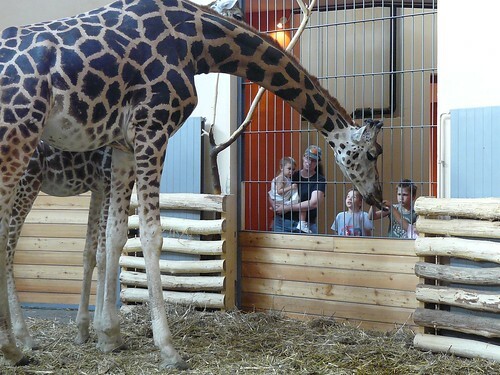 Above: Before saying good-bye to mom-mom and pop-pop, we were able to spend our last day together at the Budapest Zoo. We thank God for giving Sharon’s parents the opportunity to visit and for the time as a family we could spend together before the intensity of fall ministries.